The weekend Fèis is a full two days of music, song and language with highly respected tutors. Each year we host two weekends, one in the Autumn and one in the Spring. 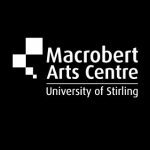 Booking is now open for the weekend Fèis, which will be held at the Macrobert Arts Centre, Stirling on the 29th and 30th September. This is a great opportunity for children to have an immersive experience in music and culture. The list of principal tutors is below and to book on to the weekend, go to the Event Booking page.